It was love at first sight for me and the 2005 movie adaptation of Pride and Prejudice, and after that I sought out more Jane Austen stories. I read the book and I also watched movie versions of Sense and Sensibility, Emma, and Persuasion. 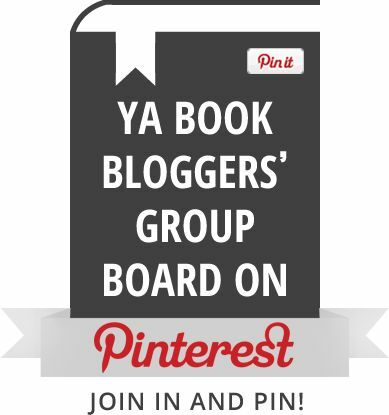 (Still need to seek out Northanger Abbey and Mansfield Park!) 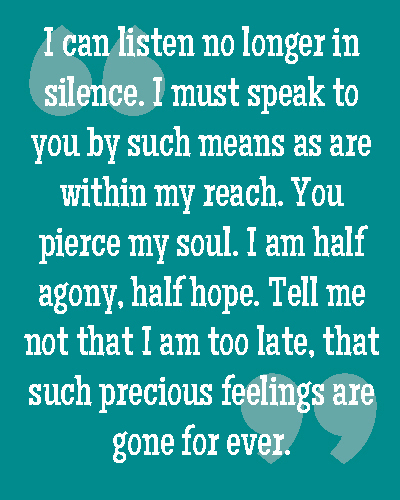 But I found while reading P&P that while I loved a Jane Austen story, I didn’t exactly love her writing style. Fast forward a few years, to last year to be exact, when I decided that I wanted to slowly work my way through all of Jane Austen’s novels, just because. I decided to read Northanger Abbey, since I didn’t know the story, and I thought it might help me appreciate the book a little more. In a way, I think it accomplished this. 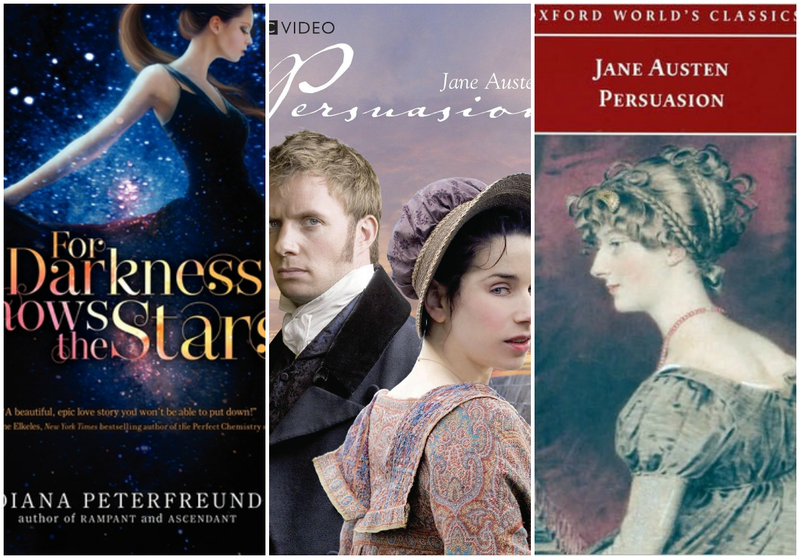 Then this year, after reading the Persuasion retelling For Darkness Shows the Stars, I decided I was due for a re-watch of the movie, and that maybe it was about time to read my third Austen novel. I did struggle with it. Jane Austen has a way about writing a really boring chapter about something that seems innate, but then there will be a wonderful, interesting scene that gets cut just way too short. I don’t know why she elaborates on the boring and minimizes the romance, especially since the romance seems to be the point of the book (I suppose there is social commentary as well, but it’s time specific and hard for me to really appreciate). So if you want my thoughts on Persuasion the book, I give it three stars. 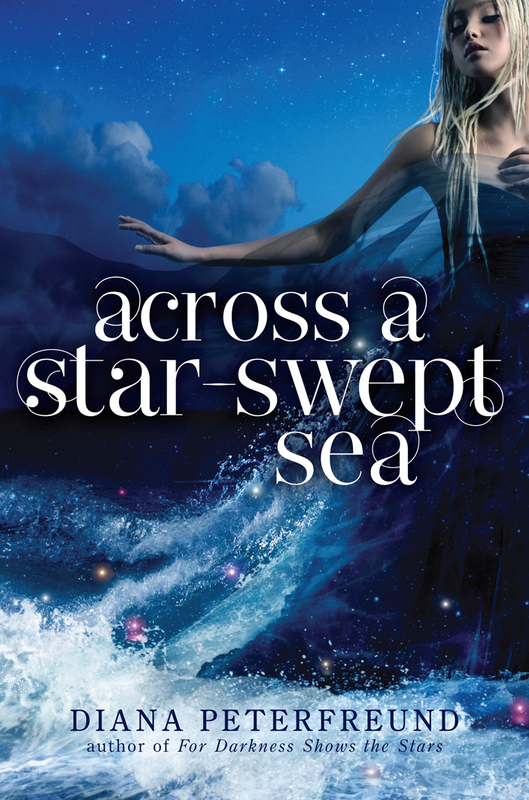 Now for the story itself, including Diana Peterfreund’s retelling of it. Anne Elliot (or just Elliot in FDSTS) at first seems a little meek (though less so, again, in FDSTS, but the similarities are there). She lives in a society where things are a certain way, and so she tries to live this way. She listens to her elders and respects them, but after years of living with regret, she knows she still loves Captain Frederick Wentworth (Captain Kai Wentforth in FDSTS). Anne (Elliot) sees the choice she made as necessary at the time but very unfortunate, since her heart obviously still wishes she had not made that choice. Elliot feels like she owes it to her family and their estate. Anne feels it would have been a foolish risk eight years earlier when she was only 19 and he had no money. Anne (Elliot) is smart, and I think that is clear both in the original book and in FDSTS. In the book Persuasion, Captain Wentworth’s flirting was not nearly as obvious as the movie adaptation or in FDSTS, because Austen never shows him flirting, she just tells you he does it. Kai in FDSTS honestly made me kind of mad… he was flat out rude to Elliot on multiple occasions! Captain Wentworth is a little cold towards Anne in the original story, but he is mostly civil and you can better sympathize with him. And then there’s Mr. Elliot, who I find interesting in the movie and in FDSTS. Since “Mr. Elliot” is named Benedict in For Darkness Shows the Stars, I just pictured him as Benedict Cumberbatch. In the book Persuasion, Mr. Elliot doesn’t get much face time. And honestly, everything with him is pretty boring until the concert scene when suddenly he’s like, “You know, it’d be great if you never had to change your name,” and then Anne notices Captain Wentworth getting jealous (hands-down, best chapter in the book BTW). But in the movie, he’s somewhat charming. And in FDSTS, though I got a bad vibe from Benedict at first, I almost liked him by the time he came on to Elliot. And what he was saying made sense. I mean, it seemed like Kai still might never forgive her and the two of them might not be so bad a match. Mind you, I wasn’t actually rooting for Team Benedict here, or for Team Mr. Elliot in the movie for that matter, but he seems like a more viable option than he does in the original book. In FDSTS, Elliot almost seems to consider his offer. Not quite, not really, but almost. She doesn’t say no right away and she understands the logic, but of course she doesn’t love him and she still loves Kai. So I was a little sad with how underwhelming his character actually seemed in the original story. But maybe it was because I had checked out of the story at this point, at least until Austen got back to the good, juicy stuff. But no matter what version it is, it ends well. 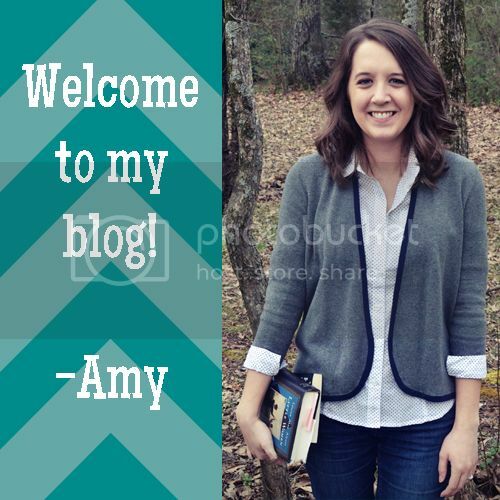 So if you’ve read Persuasion, what do you think of it? And if you’ve seen/read other adaptations of it, how do they compare for you? And am I the only one who loves Jane Austen’s stories but hates her writing? 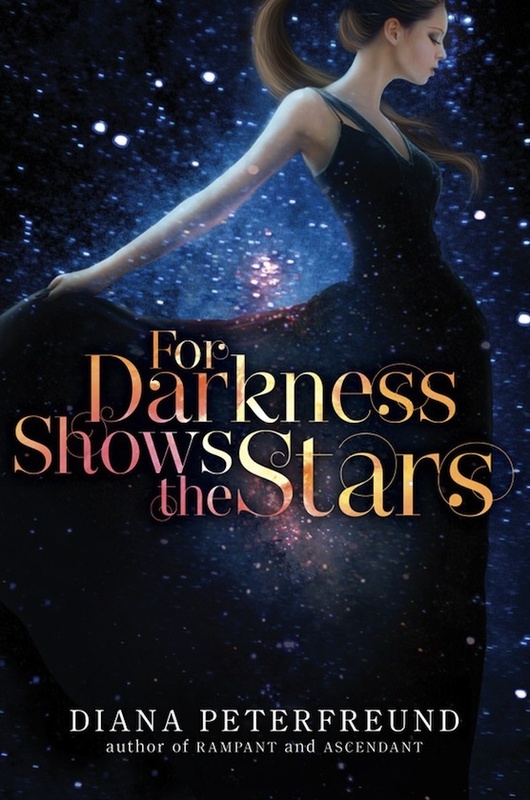 And if you haven’t already, check out my review of For Darkness Shows the Stars.